Racine Roofing and Remodeling provides dormers services in Racine, Kenosha, Sturtevant, Caledonia, Milwaukee, and Franksville, as well as all over Wisconsin. A dormer is a roofed structure, usually containing a window, that project vertically beyond the plane of a pitched roof. Do you view your current attic as wasted space? If you have lots of floor space, but not enough headroom, a dormer could be the appropriate solution, especially if you are not interested in building out. One of the primary elements of a loft conversion, dormers increase usable space and create window openings in your roof plane, and at Racine Roofing & Remodeling we try to keep your dormer aligned with your home’s roof for the best aesthetics. Depending on the shape of your roof, different types of dormers have emerged to complement the various styles of architecture. This specialty window will provide your home with grace and elegance. Choose from a variety of styles that fit the culture of your home. Gable (doghouse) and shed dormers tend to be the most popular. Gable dormers, also called doghouse dormers due to their resemblance to your canine’s outdoor home, include a roof that peaks in the middle and descends on the sides, adding charm to your roof. A shed-roof dormer reaches its lowest point in the front and slopes upward. Hip roof dormers contain three sides that come together at a peak. The eyebrow dormer is a style that gives the impression of an eye peeking through the roof, with a gentle or prominent curve to the roof line. A shed dormer is a larger version, and it will maximize the amount of usable interior space. Since a shed dormer’s roof is pitched differently than the main roof, this can be the ideal place to mix materials. 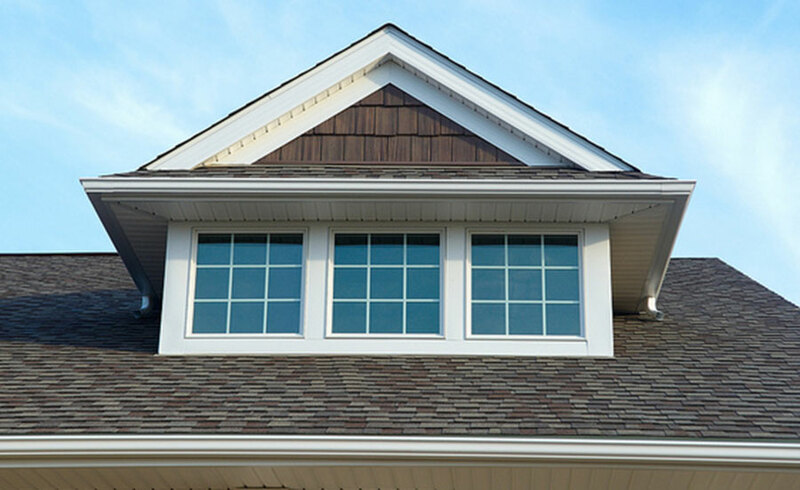 You can use a dormer to add additional windows to your home, break up the monotonous appearance of your roof, or to add another level to your home. Many people choose to utilize dormers to add bathrooms, bedrooms and closets to their homes. Before determining if a dormer is the right option for you, consider that since dormers increase square footage, they may also cause your homeowner’s insurance to increase slightly, though it should be less than if you did a full addition, and you’re likely to recoup some of that cost if you resell your home.